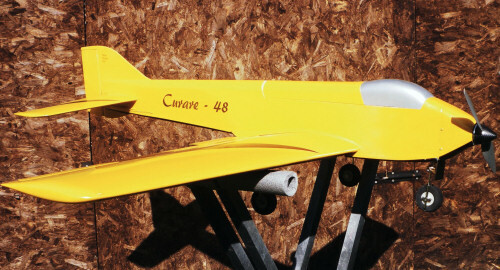 "Hi George, Just to let you know I've finally managed to get a picture of my Curare. It's 48" span, weighs 4lb 2oz, powered by a PO-3547-960 driving a 10" x 6" prop. Currently only flown twice. Unlimited vertical performance and after 8 mins + circuit time it still had 70% battery life left on a 3300 4-cell. It's 6 channel with flap/airbrakes and retracts. Chuffed to bits."